Coffee equipment in a cafe has become a well-liked product in restaurant and kitchen supply stores -it is important. However, these equipment can be extremely high in cost and difficult to handle if you do not hit upon the correct supplier. 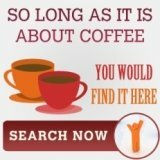 For example, it is not easy to find great after sales for your coffee machines, even if you purchase a package, it is not easy to get them to "appear" when you need them. In fact, having the right coffee equipment (complete with good support) can signify the difference between a flourishing café business and one that collects dust. But, here is the secret. In the café industry, the top secret of your victory does not depend on your coffee making equipment alone. The tables, chairs even the utensils and cups play an important part in making the exact feel and environment for your patrons. Think about what starbucks have spent the most investment on -their renovations right? Some important coffee equipment needs in a café are a good espresso machine, a dependable coffee grinder, maybe a blender for ice blended drinks, and a good storage place for coffee beans. The espresso machines play a vital role in your café. 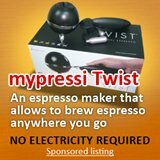 Since in this new age, people prefer gourmet coffee such as espresso, latte or cappuccino and these gourmet coffees, and they are only produced through an espresso maker. Also, take in consideration the coffee grinder that functions in creating appropriate coffee grounds. And then there is the blender that creates ice blended beverages (good money earners). Equally important is the storage place(although technically you cannot consider them as equipments). The storage place will determine the quality of coffee you produce, since it is a place where you can put different organic coffee beans and other coffee supplies. However, it is not the coffee machines or other coffee supplies that are important instead it is the people that prepare the coffee, the people that serve the coffee and the people that deliver the experience. Basically, these people must be well skilled enough since the quality of the coffee depends in their hands. Say for instance, if your barista is not that good in creating different types of coffee blends, therefore the quality of the coffee are altered, making it low quality when being serve. So in summary, if you have plan in mind to set up a café business, it is worth investing to people who can offer good quality services to your café. 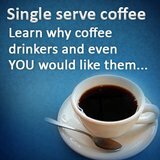 In the long run, you can generate higher income when your people are very good in creating and serving coffee. 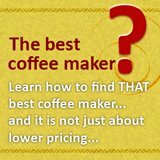 And if you are starting it small and do not intend to invest in training your staff, then you should consider getting a single serve coffee maker -one that requires no skill yet able to brew great coffee.